What is Icedea about? Design that you can taste. Design is not always tangible, nor is it restricted to product features. It can be anything, such as a taste or scent as long as it belongs to the realm of aesthetics and pleases one's senses in some way. Prima found a niche market in Thailand and decided to start her own company, Icedea to desig nice cream. As an ice cream designer, she creates unique ice cream flavours for shops and events. If you are looking for some tantalising dessert, particularly ice cream, you are no longer limited by choice. Icedea tailors ice cream flavours according to what you want, whether it's a specific theme, colour or style, they'll design and make a unique ice cream flavour that is exclusively for your shop. 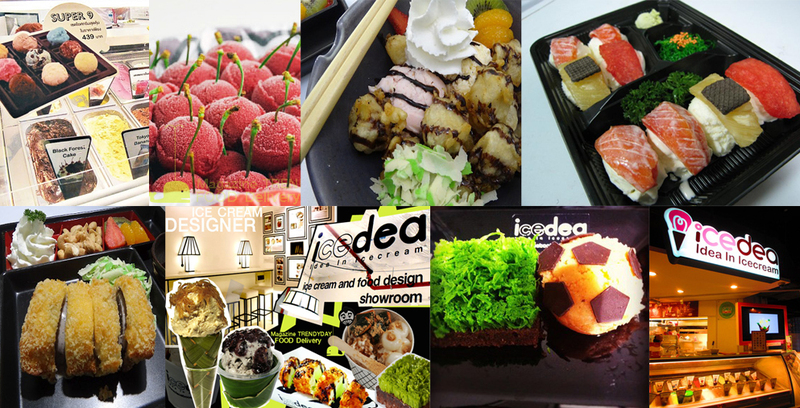 Icedea creates the ice cream concept, recipe and subsequently, produce an exclusive ice cream. Depending on your brief and special requests, they identify the characteristics of your shop and design a distinct flavour, appearance, texture, colour, as well as put in thought for its presentation. Should you require packaging for your ice cream, they'd be happy to complete that for you!